Hello me Irish lasses & ladies, with my degree in Medieval History and my Celtic heritage, this is a wedding theme I can really appreciate. I love to attend Scottish & Irish festivals and would be totally at home LARP-ing for months on end at Renaissance festivals. But this article isn’t about my love of the Emerald Isle, it’s about planning an amazing Celtic wedding that is sustainable and gorgeously green. When you think of Ireland, what comes to mind? Usually it’s green hills, St. Patrick, clover, Claddagh, and leprechauns. Two really iconic Irish wedding color palettes are Emerald green and Gold or various shades of green. EcoPartyTime can provide your basic color palette before you layer in your unique Celtic accents. The trick to creating a great green ombre wedding is to have the various colors of green next to each other for comparison. Have each level of your wedding cake a different shade of green. 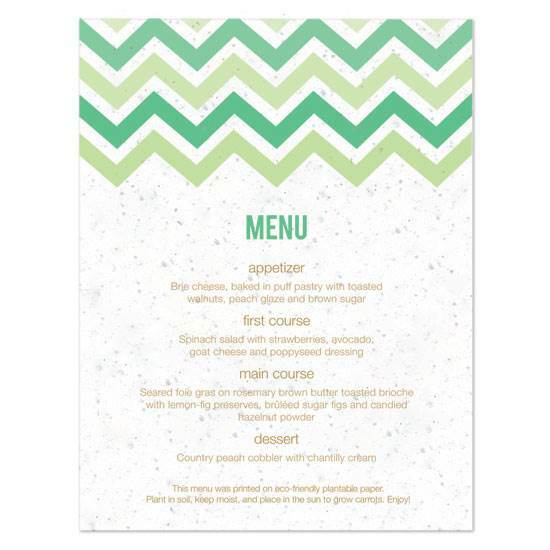 Another example would be using cupcake wrappers in various shades of green next to each other on your dessert table. 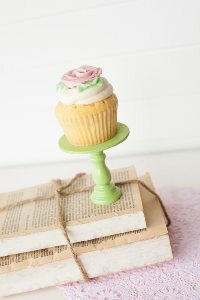 Put several of your cupcakes on our Mini Wooden cupcake holders in Mint and Green. 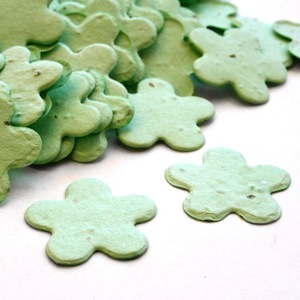 For your flower girl and possible favors, use flower or heart shaped seeded confetti in green and teal for contrast. 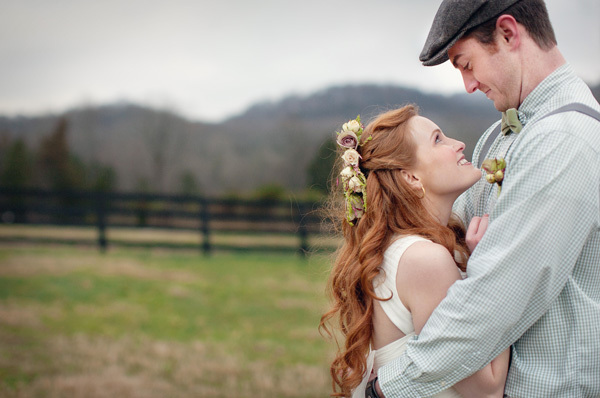 A wonderful icon for the green ombre Celtic wedding is clover. Consider adding some to your bouquet, making table runners of live flats of the stuff and using it as an icon on your cake, in your invitations and in your monogram. Ireland is also known for its horses. 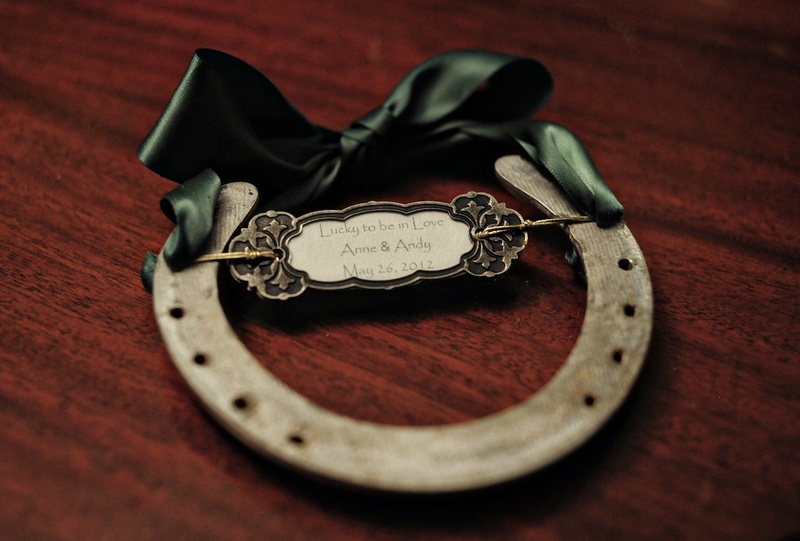 You can use symbols of this horse love by recycling horseshoes into your seating chart, invitations and cake décor. Using horseshoe hangers like this one as place settings also gives your guests a bit o’ Irish luck to take home and hang in their home. Horseshoes like these have been used for centuries to bring good luck to Irish households. Candle light works wonders for the ambiance of an Emerald & Gold wedding. Make sure to use EcoPartytime’s 100% Pure Beeswax Taper Candles, Tea Lights, and Sphere Candles. They are completely paraben free and actually release negative ions when they burn which cleans the air. Bonus, right? 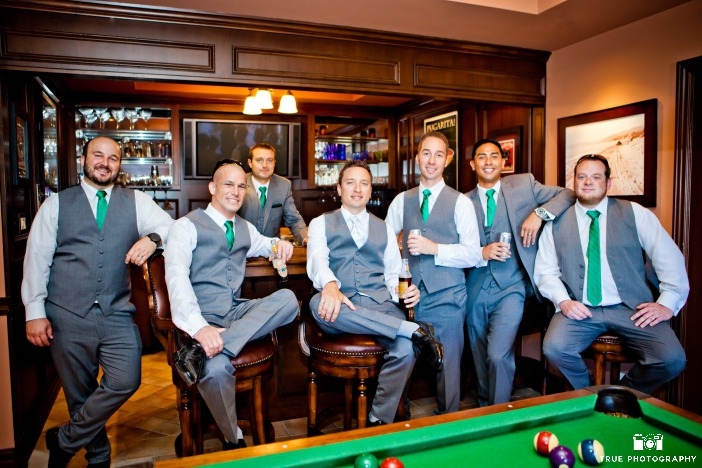 Speaking of Golden colors, get your groomsmen get in on the color scheme by offering them an organic Irish whiskey bar at the reception. That’ll get those lads in the Irish mood faster than you can say “Danny Boy”. We’ve already talked about the green cupcake wrappers, but did you know Ecopartytime carries a gold one as well? 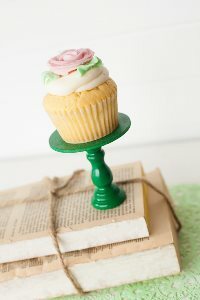 If you layer these eco-friendly cupcake wrappers on top of this green cupcake stand on top of a flat of live wheat grass, moss or clover, you will create a verdant and very Celtic feeling dessert table. 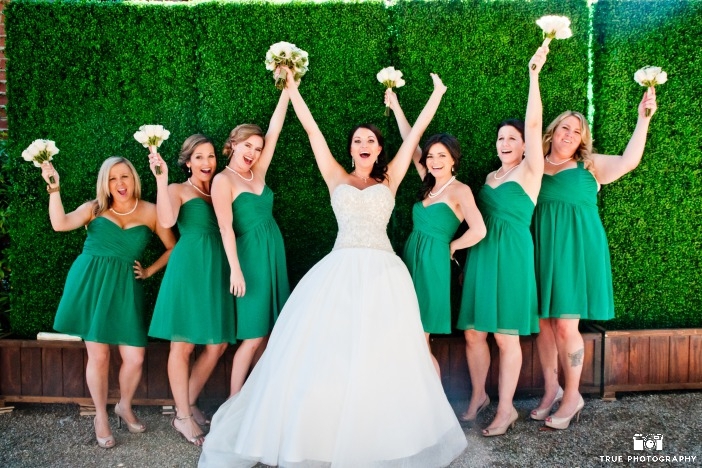 Although usually St. Patrick’s Day & Irish weddings have a strong cultural icons, consider being a trend setter by skipping the traditional icons and color palette and merging one of the hottest wedding trends with a light green and white palette. You are still incorporating green elements but your icon is a modern, not traditional one. 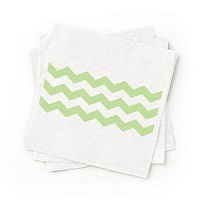 Ecopartytime now has an entire suite of Green Chevron party elements including Tablecloths, Cups, Cocktail Napkins and cupcake wrappers. 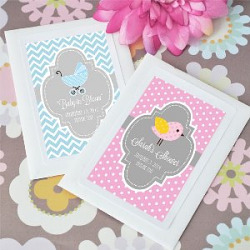 These match perfectly with the eco-friendly green plates, seeded chevron invitation suite, favor bags & earth friendlier plastic utensils being carried as well. 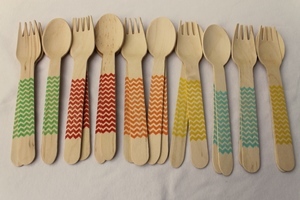 If using plastic is not in your mind as table utensils, I suggest trying the bamboo chevron forks and spoons in the green chevron pattern. I love the fact that they both work in that color scheme. 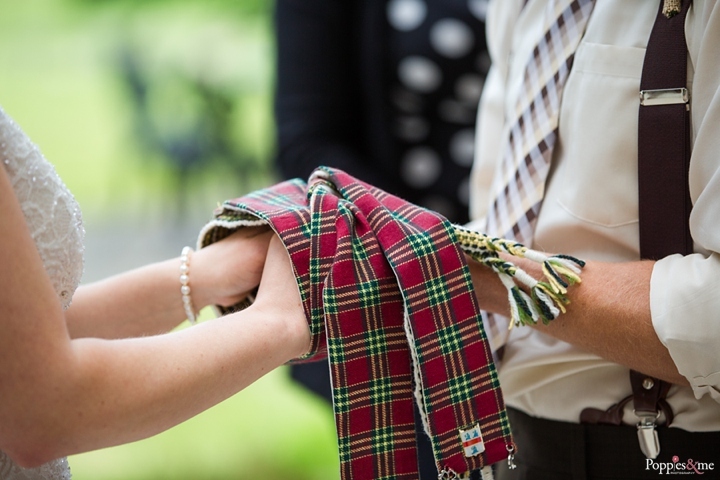 I would be remiss if I didn’t mention my absolute favorite part of any authentic Celtic wedding – The Handfasting. I won’t get into the entire history of the ceremony (I could write a book on that) so here’s the short version. It has Pagan and Celtic roots, it has been around forever, and it is where we got the saying “tie the knot”. In modern times, it is a beautiful symbol of what a sustainable marriage represents. The bride and groom belong to themselves & to each other. They are also acknowledging they are part of a bigger picture . . . their family, their community, and their environment. Here is a really wonderful explanation of the handfasting ceremony. So there you have it, my green Celtic goddesses. 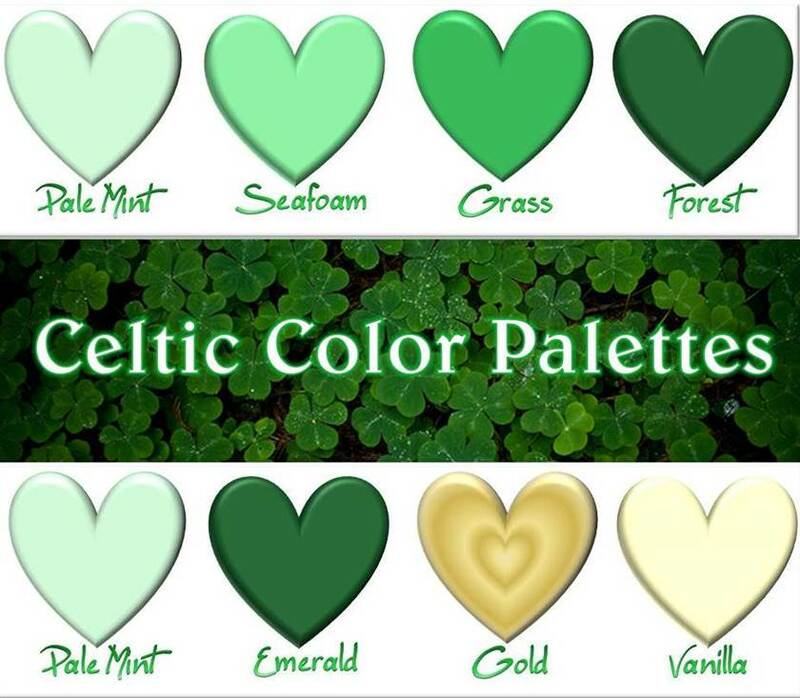 Your basic color palette for you to build a fantastically green and “uniquely you” Irish / Celtic wedding. However your Brilliantly Green wedding is designed, we wish you “Love, Laughter & Happily Ever After”. Please post pictures of your Eco-chic Celtic wedding with the hashtag #Ecopartytime so we can share in your wonderful and earth friendly event! I’d like to take the opportunity to say how honored I’ve been to be able to share my brilliantly green event ideas with you, our fabulous readers. Working with the fabulous ladies of Ecopartytime is always such a dream come true. Together you, Ecopartytime and this Chief Chica Verde are working towards a greener event reality and that is a beautiful thing!